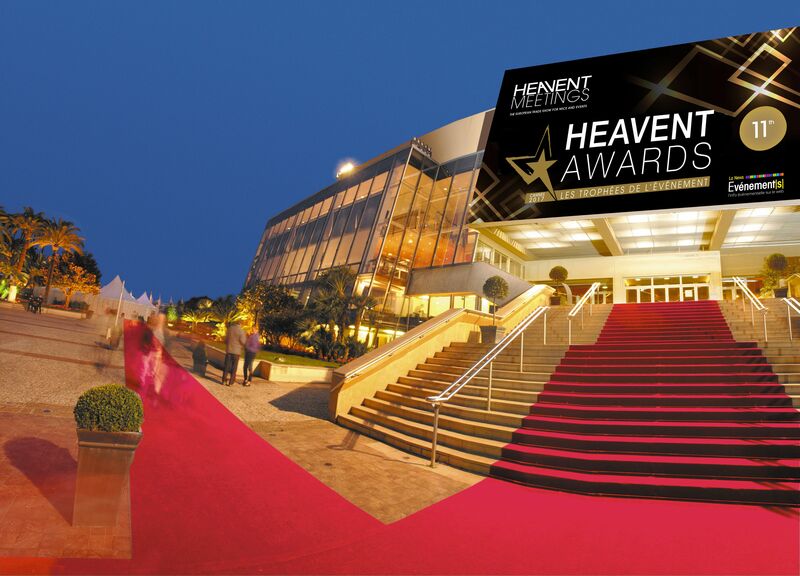 All live communication agencies worldwide can enter an event for the Heavent Awards 2018, taking place 29 March 2018 at the Palais des Festivals de Cannes. For the past 12 years, the Heavent Awards, co-organised by HEAVENT and the NEWS EVENEMENT[S], have rewarded the most memorable events of the previous year. All companies, agencies and trade show and conference organisers who staged an event in 2017, can enter for the following eight categories: Event Award B2C, Event Award B2B, Internal communication Event Award, Exceptional Event Award, Sport, Cultural, Educational or Entertainment Event Award, Integrated or Multichannel Event Award, Brand experience Event Award, Forum, Summit, Congress, Fair Award. Heavent Meetings organizes a hosted buyer program for decision-makers in the event industry that includes travel to and from Cannes, 3 nights accommodation BB in a top hotel in Cannes and the meals. The awards take place during the tradeshow “Heavent Meetings” in Cannes, 28 & 29 March 2018, an Event and MICE trade fair (more than 250 exhibitors) with targeted and individual appointments, business lunches and three networking-evenings in amazing event locations. With 2.500 trade visitors, 500 of them Hosted Buyers (agencies, associations and corporates), Heavent Meetings is a proficient global fair for all event professionals looking for innovative event solutions and the best production values for their next event in Europe.